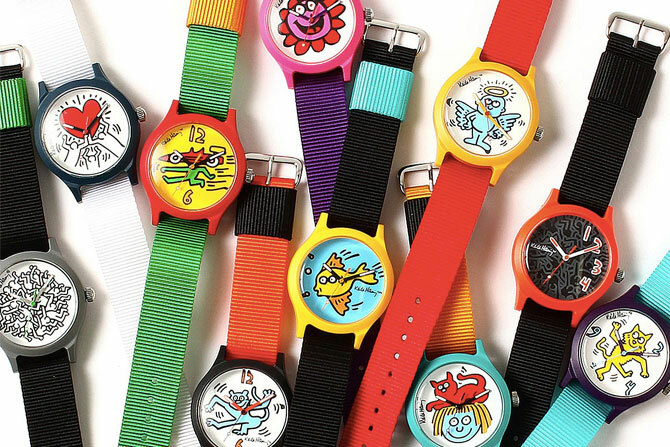 Looking for something colourful and 1980s in inspiration for your wrist? Check out the new Beams x Keith Haring watches, which retail for just over £50 each. Two darlings of the US street art scene of the 1980s are featured on these Uniqlo x MoMA Keith Haring and Jean-Michel Basquiat tote bags. Wasn't sure whether to drop this on Switched On Art or here, In the end, the sheer weight of one decade pushed the Run DMC x Keith Haring x Adidas Superstar 80s trainers onto these pages.